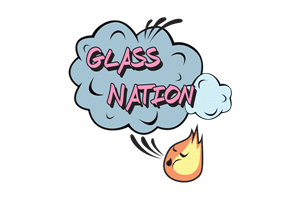 Glass Nation strives to have the best chillum pipes online. A lot of people ask, “What is a chillum?” A chillum is similar to a one hitter, however it has a larger bowl. It is true that not everyone knows how to use a chillum, or how to smoke a chillum, but one day with the right amount of education more people might. There are all different kinds of chillums for sale. We have Grav Chillums, OG chillums, and helix chillums. Glass Nation has the best chillums for sale. Only the best chillums online. If you asked, “What is a Chillum” you are not alone. A chillum is similar to a one hitter in shape, but is often larger in size. It has a larger body as well as a larger bowl size. A very impressive and classic hand pipe design.